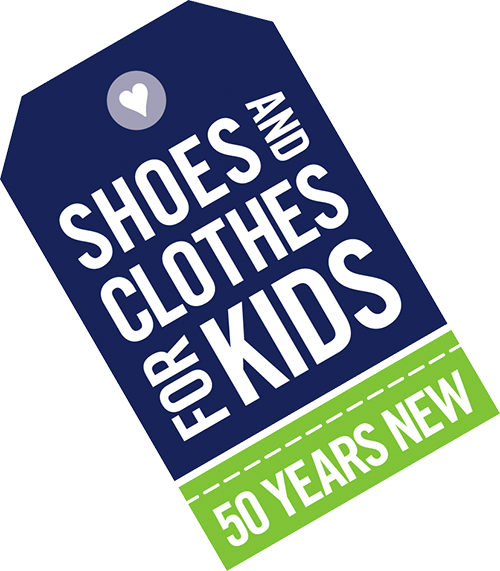 Shoes and Clothes for Kids serves over 10,000 kids every year. If your child needs our help please see the information below or call our referral line at (216) 472-2585 to find a distribution partner nearest you. To be eligible to receive items from SC4K, families must reside in Cuyahoga County, Ohio and be living at or below 185% of the Federal Poverty Level. We serve children from birth to age 18, but our primary focus is on school aged children in K-8th grade. Use the Distribution Center List to find the center nearest you and contact them to find out how you can pre-register for their next distribution. Ask your child’s teacher if they are eligible to shop at our CKIN Resource Center so they can provide school supplies for your child to use in the classroom. SC4K works with social service agencies in Greater Cleveland strategically located in areas with the greatest need. The average distribution for clothing is valued at $350,000 and the average distribution of Payless gift cards is valued at approximately $26,000. SC4K does not charge its Distribution Partners or its recipients any product or services. Beyond serving the basic needs of thousands of deserving children, SC4K serves as a change agent for area families living in poverty. By providing new clothes and shoe gift cards through our Distribution Partner network, we can connect these families with other important programs and services working to improve and enrich their lives. These programs include food pantries, GED education programs, resale. To be eligible to receive items from SC4K, families must reside in Cuyahoga County, Ohio AND be living at or below 185% of the Federal Poverty Level. We serve children from birth to age 18, but our primary focus is on school aged children. Contact the distribution center nearest to you to see when the next distribution is scheduled.